The company Toyota demonstrated the capabilities of the third generation of humanoid robots T-HR3. The model is able to accurately repeat the movements of the human hands and feet with the help of 16 servo modules and sensors. Novelty uses a system of remote maneuvering Master Maneuvering System, which is controlled by the whole body. She looks like an exoskeleton chair. The 75-kilogram robot repeats all the actions using 29 movable joints. He can stand on one leg and is already trained in the simplest acrobatic movements. Due to the feedback, it is easy to understand how accurately he repeats the force of influence on objects. View the world through the eyes of a 154-centimeter robot allows a helmet of virtual reality. T-HR3 technology has a great future, developers are sure. 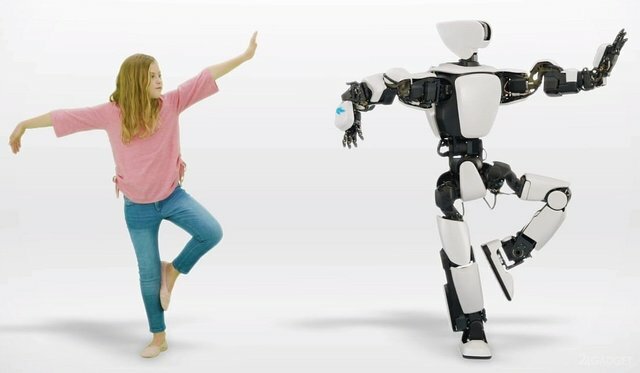 Robots-humanoids in the future will be able to help around the house, participate in the elimination of natural disasters and disasters, work in open space and collect new robots. While the third generation will be used as a test platform.